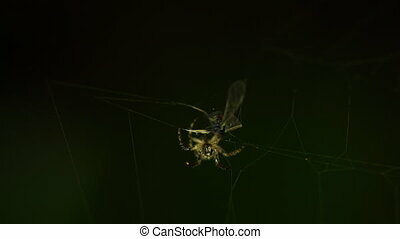 Spider caught a fly in the web. 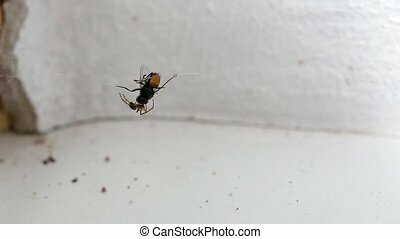 insect spins his victim with the web. 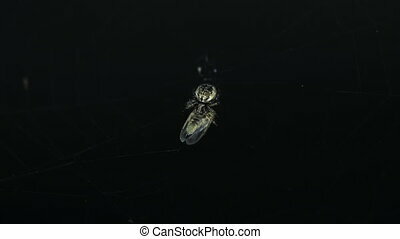 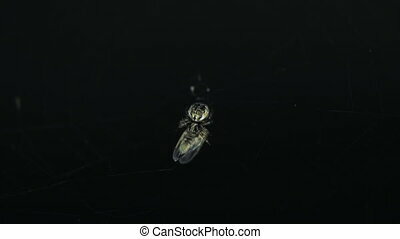 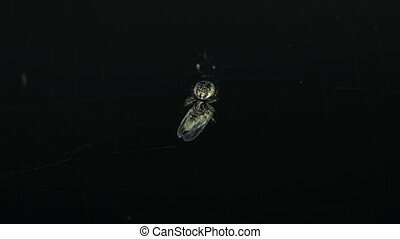 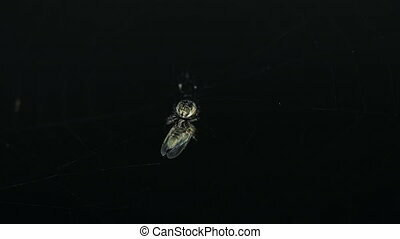 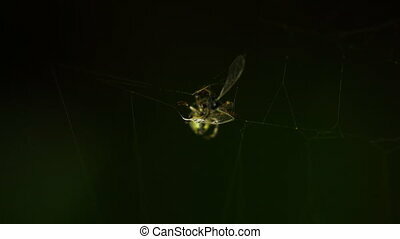 The fly caught in spider web without chance for escape. 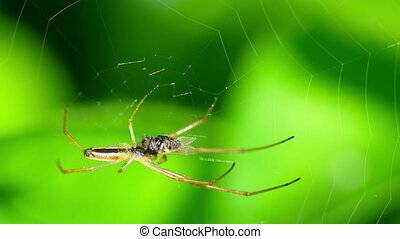 The white wall on the background. 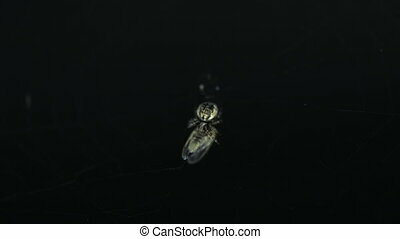 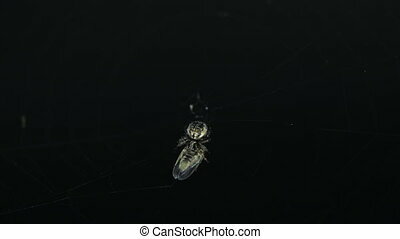 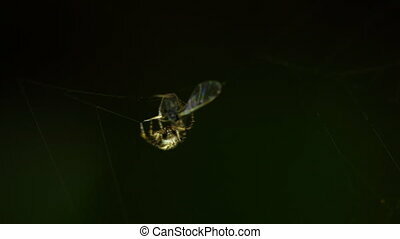 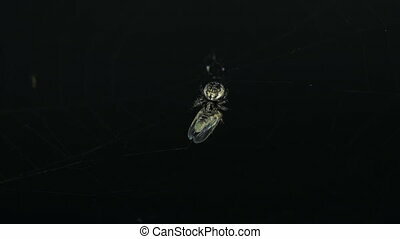 The fly trapped in cobweb as a prey of the spider. 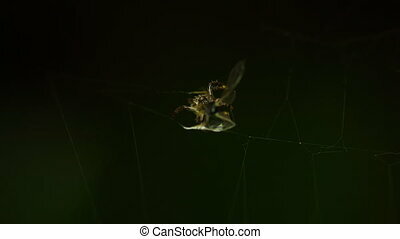 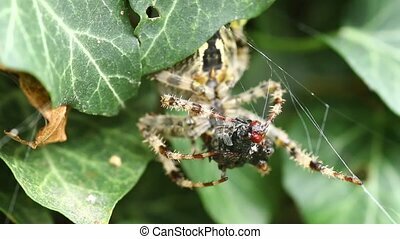 Fighting for life - small spider with big fly.